Businessmen and business enthusiasts know that there are benefits entailed when you have a publicly held company. If you are researching about how to start a public company because you want your company to go public, you should initially discern the advantages your company can enjoy, which is the same reason why owners of privately held companies trade their ownerships in the public market. You first need to answer the question of why to go public? For most people, when they choose to go public, they can anticipate a reasonably speedy approach to raise large capitals more than what your company can acquire via bond financing, with even less limitations. Fundamentally, if you transform your company as a public corporation, you will open doors to avoid liquidation of your business and at the same time you will have the capability to raise money in an instant for financing expansion to include acquisition of equipments, retain employment of personnel and become well-funded for other business transactions and operations. But despite all of these wonderful opportunities awaiting your company when it goes public, you may experience some quandaries brought about by the past management of the public company you acquired. Learning about how to start a public company will require you to expend some time researching. The procedure of going public can be time consuming and lengthy, though accomplishment of the process is worth all the effort you’ve exerted. To get started, we recommend you learn how to incorporate in Nevada. 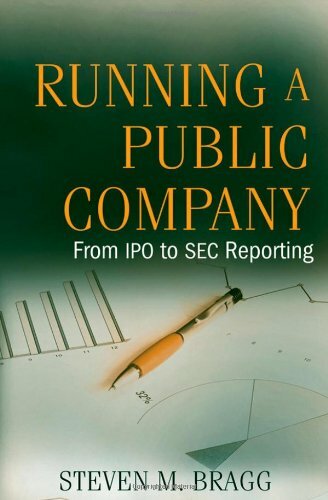 When starting a public company, you will need to know how does a company go public and how the entire process of taking a company works? The method begins when the issuing company engages in an agreement with a reputable and highly regarded bank, which plays the role of the sponsor for IPO or initial public offering (see what are IPO’s for more information). The bank will work with the private company to provide support in assuring that the company can meet the financing requirements. When dealing with the Securities and Exchange Commission (SEC), the backer or underwriter will ascertain a reasonable value for the company, for the most part divided into individual shares. If you are wondering what the most extensive part of going public is, it is most of the time the evaluation of institutional interest and significance of the shares that will be offered. The bank or the underwriter will set an initial pricing for the stocks or shares, which will solely depend on the undertakings of stock investors. Investors will raise the capitals or funds through the initial public offering, whereas the underwriter will ultimately finance the whole transaction by granting capital to the issuing company prior to the privately held company going publicly held. For large companies, they will need hefty IPOs that will necessitate numerous banks for overall financing. The banks of the company that will go public will eventually maintain some of the shares if they are considered to represent assets and investments, which most of the time occurs since they are accountable for setting the initial cost and pricing. Keep in mind that after you learn how to issue stock as the owner of a private company, more often than not, you will retain most of the stocks produced when they become publicly held. You must remember in starting a public company that stocks correspond to the company’s ownership that’s why it is important that a controlling interest should be maintained so will not lose influence and control over the company when the business operation begins. When your business becomes converted as a publicly traded company, the Board of Directors of the corporation will be determined through elections or voting of shareholders, while the executives will be chosen by the elected board. It is essential that you distinguish that not every share is generated equally when you begin learning about how to start a public company. You should note that the indispensable procedures of the process of getting your company public are the various classes of shares that will be created. For Class A shares, these exchanges will not be traded but will rely on the number of shares, since every share signifies a single vote. Preferred stocks on the other hand, do not have an election or voting process, though they can provide dividends that are higher, which can be transformed as common stocks.